Frequently parties to a divorce have come to an agreement but still need professional assistance. They may want to make sure that they fully understand the impact of their agreement, that they haven’t overlooked any important issues, and make sure that their paperwork is completed correctly and professionally. If you have arrived at an agreement with your spouse or if an agreement can quickly be reached then we can advise you about any issues that you may have missed and assist you in formalizing your agreement as a judgment. Frequently this can be completed at a flat rate that is a fraction of the expense associated with taking your case to trial. • The divorce process can be completed in a much shorter time period. • The parties can better control the outcome of the divorce instead of leaving important matters to a judge’s discretion. • Legal expense is greatly reduced. • Less conflict during the divorce process can often lead to more cooperative parenting after the divorce is finalized. Sometimes people may think they have an agreement but later find that they have overlooked important issues. They may discover that when the details of their uncontested divorce are laid out in writing that they are not, in fact, in agreement. 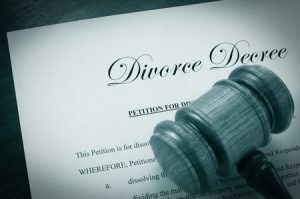 If that happens and the divorce becomes contested we are able to vigorously represent you through the divorce process and at trial. It is important to remember that our firm will only represent one party in the uncontested divorce process. Regardless, if your goal is to develop a fair and reasonable agreement with your spouse then that will be our goal too. Even if your spouse has already retained his or her own attorney it is still possible to resolve a case quickly, fairly, and inexpensively through the uncontested divorce process.